-- Select a Size/Color -- 60 Chews - Out of Stock! 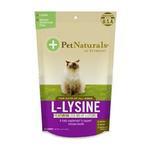 Keep your kitty feeling their best with Pet Naturals L-Lysine Cat Chew Supplements. 60 chews in a bag. Super cats deserve super health! 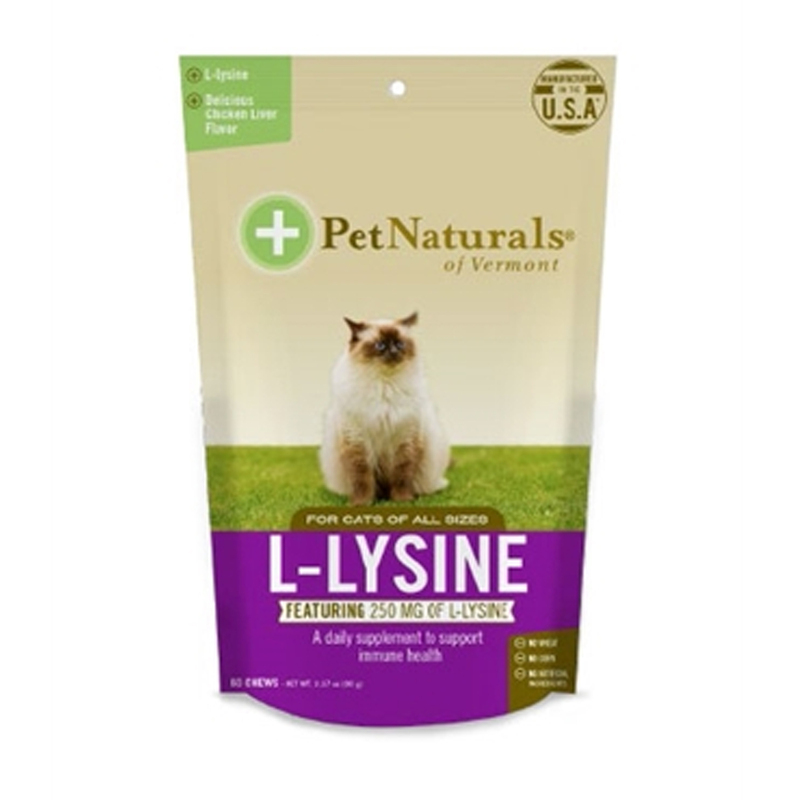 L-Lysine for Cats is a lysine supplement to support healthy tissue, respiratory and ocular health. Maintaining these systems allows your cat to be happy and healthy on a daily basis. Inactive Ingredients:chicken liver flavor, starch, L-Lysine, water, soy lecithin, canola oil, brewer’s yeast, glycerin, oat flour, barley flour, rye flour, oat meal, calcium sulfate, malto- dextrin, sodium alginate, sorbic acid, propionic acid (a preservative), mixed tocopherol blend (a preservative)..
Pet Naturals L-Lysine Cat Chew Supplements Customer Photos - Send us your photo! She is pet of the day but I do not see her photo. She is a feral cat. I have worked very hard so that she would trust me enough to give her basic care including brushing her long hair and giving her the Pet Naturals L-Lysine treats. I do this to keep her immune system healthy. It is working she is doing very well! Posted On 10/08/17 by Debra C from Cincinnati, OH Yes, Debra C recommends this product! They look like cat treats & my cat gobbles them up!